Q1. How does it work? This is the hardest question of all. Read � How it Works� section. Q2. What do you mean by automatic? LOKKA's design is actually as an automatic "UN-locker" ie. it is normally locked and automatically unlocks when differential action is required. ie. the outside wheel in the corner "overruns" the speed of the inside wheel. There are no switches, electrical, pneumatic or external connections required. Q3 Is Lokka Positive Locking? Yes. LOKKA is positive locking, meaning there is no slippage when locked - there is a mechanically solid engagement of all parts. This means that you get 100% of drive and traction to both wheels. Q4. How does it know the difference between a wheel spinning off-road (say in mud) and going around a corner? The real question is "I don't understand how it can unlock when you go around a corner but doesn't unlock when there is a loss of traction". The answer is two fold: Firstly: LOKKA is normally locked and only unlocks when something (other than the engine) forces a wheel to turn faster than the differential is turning it. (ie. to overrun). So when one wheel is in the air it just stays locked. Secondly: because LOKKA is normally locked, unlike a standard differential it can never break traction on only one wheel. It is physically impossible to drive one wheel faster than another by the engine - the two wheels will always be driven at the same speed, ie. a wheel can turn faster than the differential turns it, but it can never turn slower. Thus, the only time that a wheel can turn faster than the differential or engine is turning it, is when you go around a corner and the "ground driven" forces (momentum & traction) acting on the outside wheel (which has the greater distance to travel) force it to turn faster and Lokka automatically unlocks. Q5 What is it made of? LOKKA is made from a tough heat treated steel alloy. Q6 How strong is Lokka? LOKKA design uses a large number of very low profile teeth which collectively do all the ramping and the driving. Engine power is transferred through the flats of all 20 teeth at the same time rather than the original standard differential which has only 2 or 4 teeth driving at a time, with all the force being transmitted between two points on the involute curved surfaces of the pinion and side gear teeth. LOKKA has a total linear length of approx. 12 cm and surface area of around 3cm2 and hence has 2-5 times greater surface area over which to transfer the engine power. This means that LOKKA can handle substantially more power than the original differential gears. Q7. How long will it last and what is the Warranty? 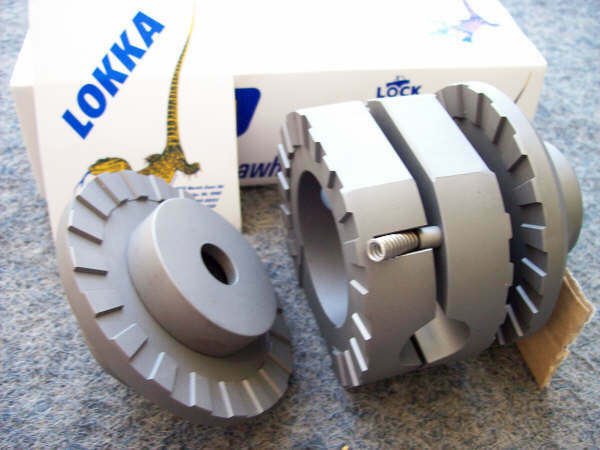 LOKKA, due to its design and material composition, has a life expectancy approximately twice as long as the traditional differential - this is obviously dependent on the use and application, fitment, condition of differential etc. Lokka enjoys an excellent reputation for reliability and durability. It has a 3 Year International Warranty. See International Warranty Statement. Q8. Is it noisy? All automatic lockers make some degree of noise. If Lokka is operating normally, it is possible to hear a light clicking sound when cornering. However, this is often inaudible from inside the cabin, especially with either the radio on or windows closed. Vehicles with manual transmission may experience some extra drive-line �lash� as well as other noises intermittently. These are typical of automatic lockers. Smooth application of power and a more careful driving style will minimise their occurrence but not eliminate it. Uneven tire pressures and uneven tire size will make all noises and �lash� more predominant. It is important for reasons of safety and off-road capability for tires to be evenly inflated and sized. Note: Even new tires can vary in size and may need to be matched. Q9. Will it fit my vehicle? There is an extensive range of LOKKA models that is continually expanding to suit new and older 4WD's. Suitable for 4x4, 2x4, SUV�s, campers, civilian, commercial, performance - off-road racing, drifting, hill climb etc. LOKKA cannot be used in the front axles of constant four wheel drive vehicles that do not have a Part Time 4WD transmission option. For some Full Time 4x4 vehicles, a Part Time Conversion Kit is available. Lokka only fits into normal standard differential hemispheres. Exception: there is a range of models designed to fit into many Toyota factory LSD centres. Check current Application Search Engine. Q10. Do I need to fit two? This is a matter of money and requirement. A single LOKKA will substantially improve a vehicle's off road ability. This is easily tested by taking a LOKKA equipped vehicle up a steep hill or across terrain that has previously been impossible to traverse and drive it at a lower speed beyond that same spot, even to the point of stopping and restarting from that same spot. Dual LOKKAs gives a vehicle even more capability at lower speeds. If a vehicle has adequate traction it may not require large amounts of momentum, thus a Dual LOKKA equipped vehicle will be able to negotiate difficult obstacles that were previously only possible with the use of high speed and momentum. By eliminating speed from your obstacle negotiation you will have minimised potential for loss of control and damage. Q11. Which end should I fit first? (if buying one) This is dependent on the vehicle, its existing differential types, the type of suspension system and the model availability. However, the front is usually the first choice. If the vehicle is an IFS (Independent Front Suspension) model then the front fitment will result in the greatest increase in 4x4 ability. This is because many IFS vehicles have very limited suspension movement (hence limited wheel travel and articulation) resulting in easily lifted wheels and total loss of front traction. Fitting a LOKKA to the front will solve this serious deficiency. If a vehicle has a good quality LSD in the rear, then a front fitment will obviously provide the best total traction ie. one locker and one LSD is better than one locker and one standard differential. If a vehicle has a poor quality LSD then the issue becomes less clear and personal preference or ease of installation often become the more important criteria. However one LSD and one locker is still a better choice - if that is possible. If the vehicle is a constant 4x4 then a rear fitment may be the easiest but may not be the best solution. A front fitment will actually yield the greatest improvement in off road ability. This is because, most vehicles require the increase in traction (that a locker gives) when hill climbing. Under hill climbing conditions, due to the angle of the vehicle, the rear wheels are carrying a much greater weight (weight transfer) and the front wheels are therefore carrying a lessor weight and tend to break traction more easily. Once one front wheel starts to spin, the other front wheel stops turning and the front differential ceases to provide traction. At this point all power load is transferred onto the rear wheels as if it were a 2x4 and due to this increased load, the rear wheels are encouraged to spin and the vehicle stops. If you can solve the problem of the front wheels losing traction, you have solved the traction problem. Another advantage is that on road there are no changes to normal driving characteristics � assuming it has Free Wheel Hubs or a Disconnect Mechanism. Q12. Will it affect my steering? Yes, it will effect your steering, but not normally in an adverse manner. It is recommended that you become familiar with the changes before attempting any 4x4 use. Unlike manual lockers which do not provide differential action when locked, LOKKA's operation allows differential action, resulting in almost un-compromised steering irrespective of uphill or downhill, soft or hard surfaces. This means you can select the best path and negotiate tight bends. You will feel a mild tightening in the steering wheel which is a result of having both front wheels biting into the terrain, driving more equally. There are situations where steering and handling will change the traditional handling of the vehicle including some understeer and more self-centering of the steering wheel. The use of twin locking differentials can cause inter axle windup and this can affect steering to a greater extent � stronger self-centering, greater understeer and larger turning circles. Q13 Will Lokka help going downhill? Yes. LOKKA is completely symmetrical in its design and operates going forward & reverse, up & down hill. With a standard differential it is possible to lock up a single wheel while braking and loose steering and traction. The wheel on the more slippery side locks up first and the other wheel, due to normal differential action, speeds up (ie 0:100 power split ratio). Since this accelerated wheel is actually the wheel which is on firmer ground the increase in its speed acts to accelerate the vehicle even faster down the slope! LOKKA will ensure that both wheels under the effect of engine braking will remain locked and hence provides improved downhill braking. Q14. Can I fit it myself or do I need a differential specialist? Yes, you can fit yourself in most cases. LOKKA can be installed by almost anyone with basic mechanical skill and tool kit . LOKKA is designed to fit directly into the existing differential carrier as a replacement set of gears. Since the original hemisphere & carrier bearings are not replaced the ring & pinion gears do not have to be "set up". Hence a Differential specialist is not specifically required. However if you are unsure of your ability, using a professional is a good idea. Q15. How long will it take to fit? This depends very much on the model, who is doing the job and the facilities at hand. As a guide you could expect 1-3 hours for many rear fittings, most front fittings are around 3-4 hours. IFS vehicles can take from 3-5 hours. Q16. Can I transfer it to my next 4WD vehicle? In some cases, providing you are keeping the same brand or model of vehicle or have the same differential. Every LOKKA model has been designed to fit a particular differential, so you will need to check for differential compatibilities. Q17. It looks too simple LOKKA design is by sight extremely simple - in fact so simple that many people cannot understand how it can operate so well. However this belies the sophistication of its Patented design. Q18. Do I need to use special oil? No. Any recommended differential oil is OK to use including LSD oil and differential additives such as teflon treatments etc. Q19. Will it affect my ratio? No. 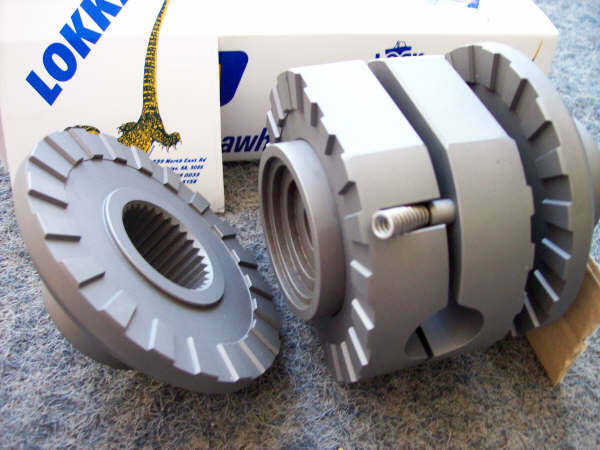 LOKKA fits inside the carrier and does not affect the ring and pinion gears which determines the differential ratio. Q20. Is it going to weaken my differential? LOKKA should actually prolong the life of a differential due to the sharing of normal off-road terrain driving loads more evenly between the axles. The locking action prevents one wheel spin up (and resultant damage that can occur when a spinning wheel obtains sudden traction), however in certain difficult situations (refer to Q21 for situations) greater stresses can occur. Q21. Will it damage my vehicle? Never drive your 4x4 on a hard surface with either the hubs locked or in 4x4. It will result in erratic steering, severe transmission wind-up resulting in unsafe driving and potential drive-line damage. With Lokka fitted, single wheel �spin-up� can never occur - it is not physically possible to drive one wheel faster than the other - thus with two wheels driving at the same speed, the sudden stress loading of drive-line components which occurs when a spinning wheel suddenly grips and stops is alleviated. However, even though you will be able to negotiate more difficult obstacles more slowly, with greater control, with better path selection and with less bouncing around, you will now be able to take your vehicle to places that it could never go before and some driving care will be required to avoid overloading drive-line components resulting in failure - particularly in more difficult and remote terrain. In the case of a vehicle with dual locked differentials, there is even more acute inter axle wind-up, which creates stronger forces on drive-line components, particularly on hard surfaces where there is no tire slippage. The driver should take these extra forces into consideration to avoid resulting drive-line failure and vehicle damage.